The Philippines started late in the area of railway construction, the first line was a short operation more styled to a roadside tramway, that from Manila to Malabon, around sixteen kilometres long, duly opened in 1888. However, plans for railways on the main island of Luzon had been brewing since 1875 under the then Spanish colonial government. After assessing the three projects at hand, it was decided to proceed northwards with the Manila to Dagupan line. Given over to a British consortium with generous terms, construction began in 1887. This was finally completed in 1892, covering 196 kilometres, 29 stations and 16 large bridges and reduced travel times to only eight hours across central Luzon. Seven years later, and then directly after the Americans freed the country from the Spanish in 1898, in 1899 the Philippine American war began that was to drag on for three years. Naturally the railway was an enticing target for both sides, and destruction of bridges, and burning of stations and other infrastructure occurred frequently. Once things settled over the coming decade, and the Americans were firmly in control, the government took the Dagupan line from the British by simply nationalizing it. 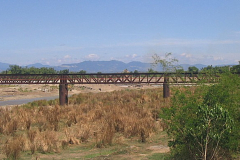 New lines were built to the south to Naga, and Legaspi was reached in 1938, as well as branches off the Dagupan line, which itself was extended to San Fernando La Union. Also single lines were built on Cebu in 1907, for a distance of 96 kilometres, and Panay island of 117 kilometres, opened in 1905. 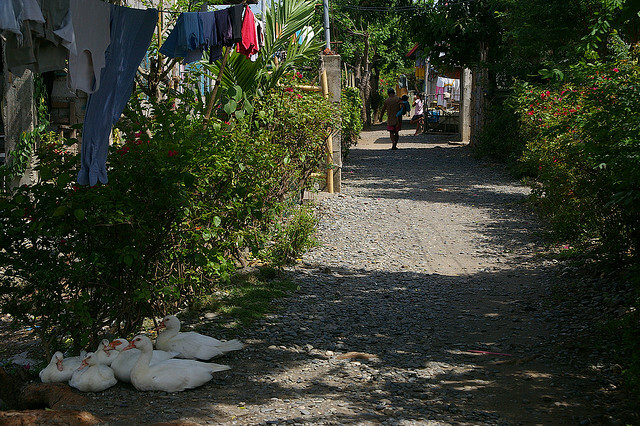 The Cebu tracks closed in the mid 1950s, while Panay actually lasted until 1985. 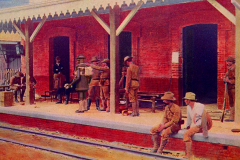 The Philippine railway history cannot easily be condensed into a brief summary so if you wish to continue reading the historical aspects of this system, please hit the link below the Line Icons. By 1941 there was 1,141 kilometres of track in working order in Luzon alone. Of course World War Two changed much of this, not only with massive battles between the Japanese and US forces, but also the US forces decided to deny the Japanese anything useful by destroying as much of the railway system in working order as possible. Locomotives were wrecked, wagons and coaches burnt, and essential machinery was disabled. 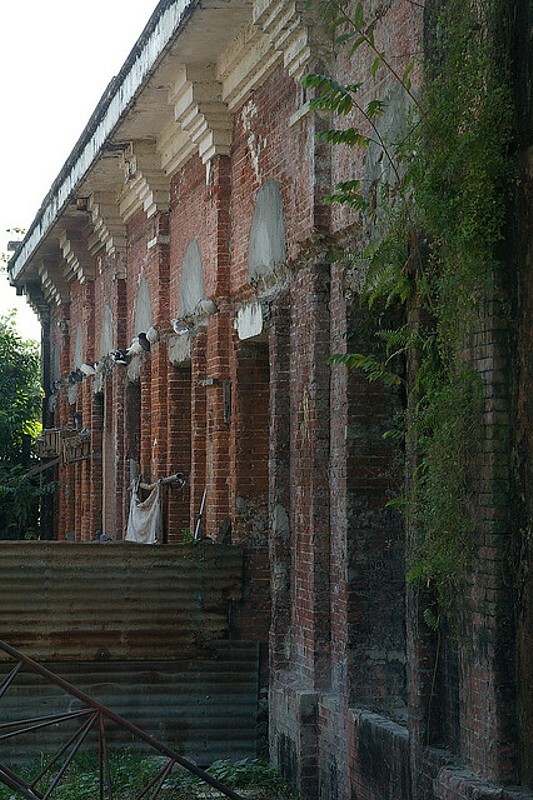 Most of the buildings survived to some extent though during this period. 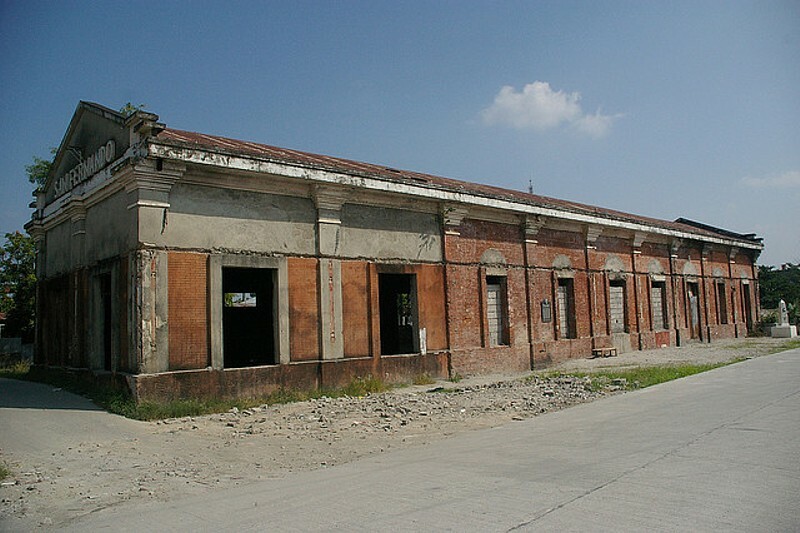 Surprisingly the main station in Manila, Tutuban, was spared during the final driving out of the Japanese, Paco the next most important of Manila’s terminals was a battered shell that later was restored, along with Tarlac to the north. The state of the rolling stock a few months after the end of the war was disasterous. From the 1947 annual report ” that out of out of 159 locomotives operational in 1941, still only about 17 were in able to be used, 66 were missing entirely or in such condition as not worth repairing; and 73 were repairable. Out of 208 passenger coaches, 143 are missing. 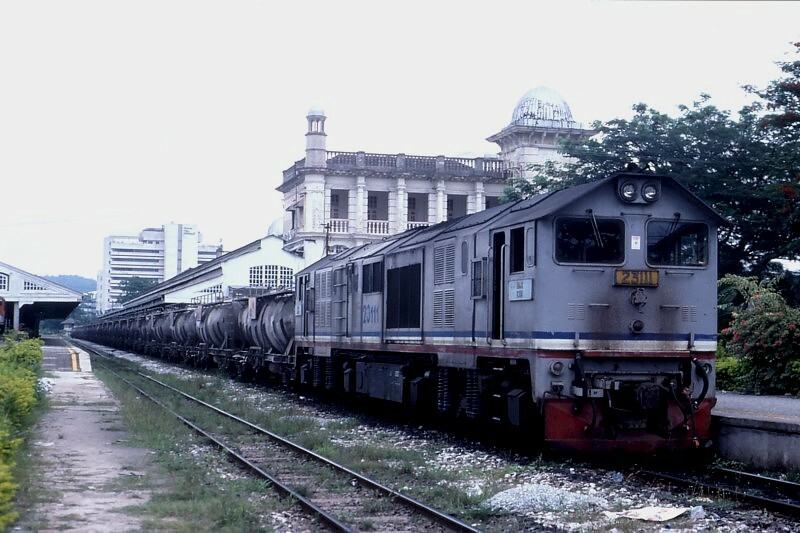 Sixty-five rail motor cars were in service in 1941 and there is only one in operation today, although 36 may be repaired if new motors are provided. Sixty-one out of 100 rail motor trailers are gone, as well as 70 out of 94 baggage and express cars and cabooses”. The Philippines regained full independence in 1946,in this year around forty percent of the system was working, having being restored by the US army, however it was still in a very rundown condition. By 1947 around seventy percent was operating, again much work needed to be done, however there was a continual struggle for funds. The 1950s saw various projects and line extension schemes come and go that were surveyed, and even commencement ceremonies held, that eventually all came to nothing. A major one of these was a long line involving major engineering works to the north east of Luzon at the end of the San Jose branch, to Cayagan province, an additional 336 kilometres of track and a 5 kilometre long tunnel. 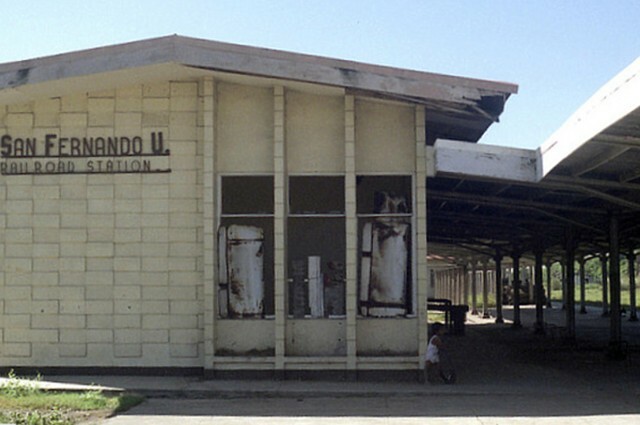 In 1964 the name was changed from the Manila Railroad Company to the Philippine National Railway, and then the long period of decline commenced. Funding issues, fierce competition from buses and trucks, corruption, opening of super highways, and natural disasters in the early 1970s. Severe typhoons wiped out parts of the northern and southern lines, with the northern section suffering the most. By 1988 the entire main northern line, and it’s branches had been closed totally, after earlier cutbacks. Parts of the closed track were wiped out by a volcanic eruption of Mt Pinatubo in 1991 from the resulting floods Today only around 10 kilometres is left operating from Manila, out to the decaying workshops at Caloocan. The southern line to Legaspi struggled on until 2006, surviving an eruption of the Mayon volcano in 1993. Brutal typhoons then finally wiped out several important bridges in that year, leading to an end to all workings outside of the metro Manila area. Eventually, all that was left operating was a run down commuter services to the southern suburbs of Manila. Recent general managers have wanted to see a revival of the old PNR, new railcars have been bought in, stations upgraded, and donations of long distance carriages received from Japan. 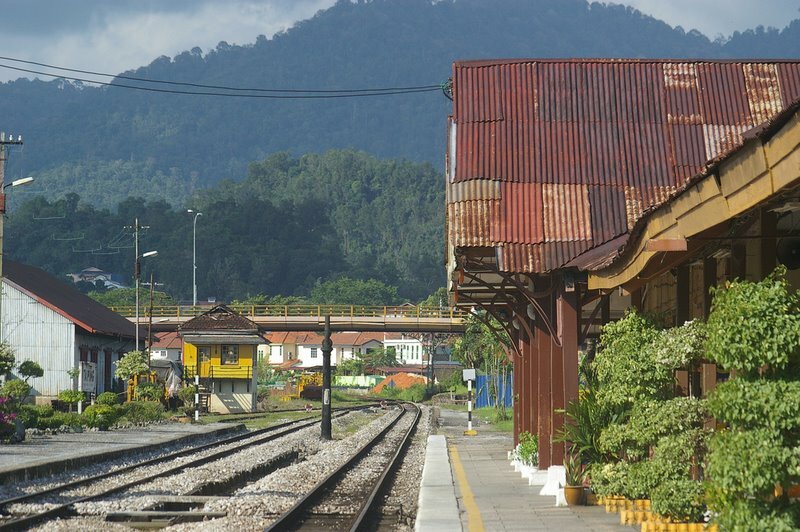 One of the major problems to have to deal with is the taking over of rail lines, yards and stations by illegal settlers, most of the entire north line has been submerged by shanties in and outside of the villages and towns, rails and bridges removed, stations inhabited, and making the general task of reviving any sort of service very difficult. 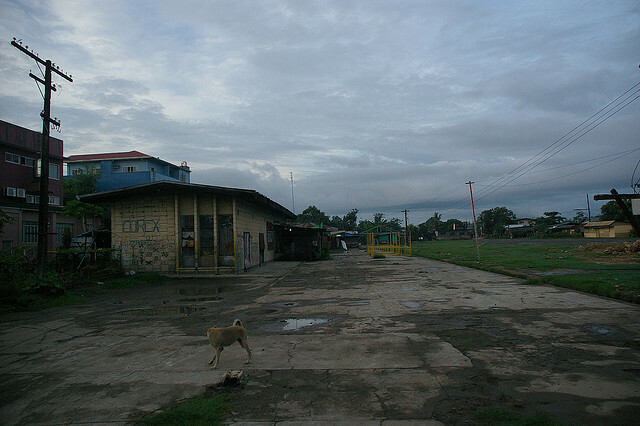 After a lot of reconstruction to the south in 2010, commuter services restarted around Naga, and trial trains began running infrequently between Naga and Manila. Officially a normal passenger service was supposed to start in July, a few trips ran, and then again more vicious weather played havoc with the line. Photos showed huge areas of land, and track underwater. In recent months after repairs, a regular passenger service has been restored. To the north a project is underway to at least connect Clark airport back to Manila with a high speed standard gauge line, however this has had many difficulties in paying compensation to removed families from the right of way, allegations of corruption, cost overruns and so on. Hopefully one day all the hurdles will be overcome and a once vital and important transport system will return to play a valuable roll in the life of people in Luzon.